It may be the middle of winter but that doesn’t mean we’re not envying for a tighter backside in time for spring. With skinny jeans and leggings still all the rage, I bet there isn’t a woman out there who’d turn down the opportunity to perk up her curvy assets. While there’s no “magic trick” to firming up your backside, there are plenty of moves you can do to sculpt lean muscles and burn a little fat at the same time. This week’s Saturday Drill is packed with exercises that focus in on your backside and make your skinny jean dreams a reality: Six moves that require no equipment, and can be done in the comfort of your own home. When it comes to health and fitness each decade has its own claim to fame. Crossfit, P90x, Zumba, spinning and yoga claimed the 2000s. The Atkins Diet, Soloflex, Tae bo and the release of fitness DVDs claimed the 90s (raise your hand if you still have one or two tapes in your arsenal). 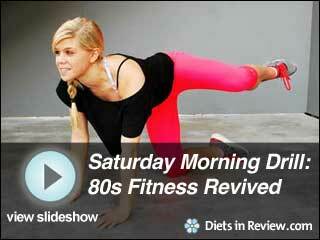 And when it comes to the 80s it was almost more about the style than the actual exercises. Side ponies, bright pastel spandex and scrunchy socks reigned supreme. And so did trampoline workouts, Suzanne Somers and Jane Fonda, who released her first workout video in 1982 titled “Jane Fonda’s Workout.” The video was so well received it sold more than 1 million copies! That’s a lot of workout tapes and spandex, even for the 80s. Though we have a few 90s-born babies in our office, the majority of our staff was born in the 1980s, meaning we have a personal fondness for fitness from that era (myself included). 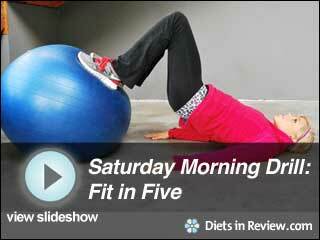 So this week’s Saturday Morning Drill channels that decade with workout moves that require no equipment and tone your whole body. The best part? It’s an absolute blast. So get on your tightest neon spandex, fashion your hair in a side pony and let’s get started! I pride myself on several things. I keep things simple, giving beginners confidence to start their fitness journeys. I keep it real, working in the real world and dealing with the challenges that real women face trying to get fit. I can lift a backside better than anyone in town. I often get compliments from clients (and their husbands) on the lift they’ve been given in their backsides since working with me. I can see it in their progress pictures, too. Where there was once flatness there is now curves. Where there was sagging there is now shape. 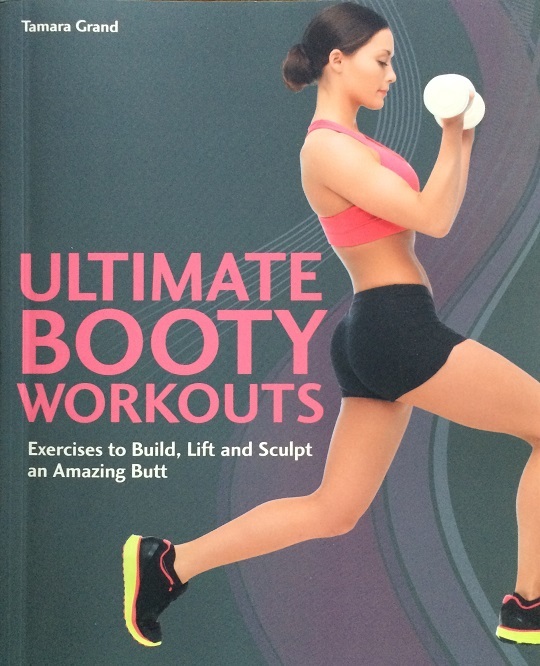 I feel I have found my calling – to help women lift their derrieres. If your backside isn’t as shapely as you’d like try this 5-minute routine just two times per week. It’s only 5 minutes so no rest! Warm up before with some light calisthenics like jogging in place or jumping jacks. When you are done make sure to stretch out those glutes. Don’t forget: To rock your jeans through the fall and into winter you must eat clean as well! Try my Iron Woman Smoothie to refuel after your workout and give your muscles the building blocks they need to create a better backside. This weekend we’re focusing on you and your beautiful backside. Take just 15 minutes to complete a round or two of this intense workout suited for beginners and advanced fitness experts alike. By utilizing moves such as donkey kicks, squat pulses and leg lifts, you’ll be able to sculpt a more firm, toned backside in no time. Let’s get started!